Bodmin Moor remains one of the South West of England's last areas of untouched wilderness. Although nowadays it is possible to speed across the Moor via the A30 in a matter of minutes you are still able to glimpse from the car window the vast expanse of uninhabited rough pasture, punctuated here and there by a granite tor. It makes for an interesting view, a welcome diversion from the usual urban sprawl. For our ancestors, the Moor presented a quite different proposition. Until the 1770s there was no road across the Moor and it was a daunting obstacle for travellers. The Moor has several prominent hills, but much of the ground falls away into a featureless marshland, criss-crossed by several rivers. Once the mist or rain descends it would be all too easy to lose your way on the Moor. As well as the capricious weather, there would have been danger from your fellow man. Whilst there are many villages around the Moor, large swathes of it are isolated - the perfect hunting ground for footpads, robbers and murderers to operate without fear of detection. Dozmary Pool, Home to Excalibur? 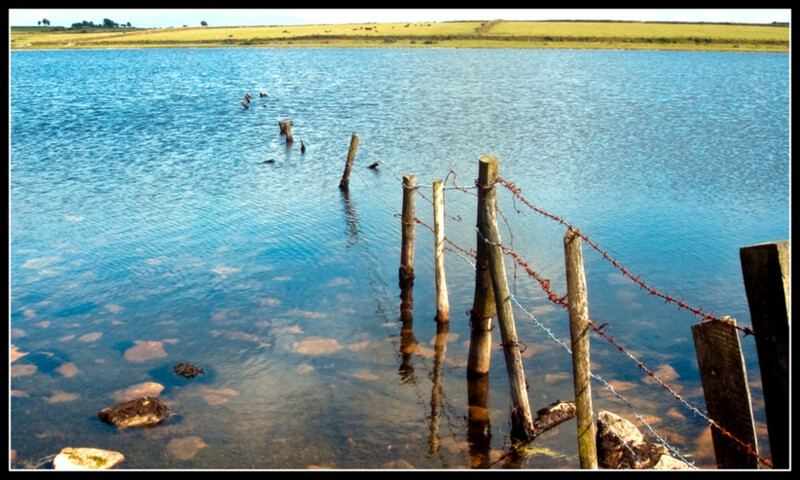 Dozmary (or Dozmare) Pool is a small lake near Jamaica Inn. Its still waters have a certain desolate charm and its shores are eerily quiet. In the past the lake was said to be bottomless, with a whirlpool in the centre which connected the lake to the sea via a tunnel. Sadly, a survey in the nineteenth century concluded that the lake reached no greater depth than 9 feet. The Pool has been linked with the Arthurian Legend. It has been suggested that this is the home of the Lady of the Lake. She is said to watch over the sword Excalibur which lies beneath the lake's depths, having been flung there by Sir Bedivere. The legend of Jan Tregeagle also centres around Dozmary Pool. Tregeagle was apparently a seventeenth century steward of the Lanhydrock Estate near Bodmin. He was a thoroughly objectionable man, who murdered his wife and children, mistreated the Estate's tenants, cheated an orphan out of his inheritance and struck up a bargain with the devil. After Tregeagle's death some of his victims went to court to try to get back the land he had taken. The judge was summing up the case when a final witness was called: the miscreant himself. An astounded court watched as Tregeagle slowly materialised in the witness box and proceeded to answer the questions put to him by a remarkably calm judge. Following the case, Tregeagle managed to escape being sent back to Hell but was set to work for eternity on Bodmin Moor, his task being to empty Dozmary Pool with a broken limpet shell. As he toils to accomplish his never ending job, he is watched over by the hounds of Hell, who wait to drag him back to Hades should he attempt to escape. Dandy Dogs, also known as Dando Dogs, are an ancient part of British folklore. These diabolical hounds are part of the Wild Hunt. The idea of a Wild Hunt recurs throughout Britain and other parts of Europe. Sometimes the hounds are led by a huntsman, perhaps the devil himself, witches or sometimes they hunt alone. The hellish hounds guarding Jan Tregeagle are not the only pack of gruesome canines to be reported roaming the Moor. The devil himself is said to have hunted human souls on the Moor with his "Dandy Dogs". One of his intended prey was a herdsman who found himself out on the Moor on a blustery night. Trudging home after a hard day, he heard a sound carried on the wind; the baying of dogs. The poor man was miles from home and tried to hurry through the treacherous boggy ground, with the noise of the dogs getting closer and closer. Already terrified the herdsman looked over his shoulder and recognised the figure of the devil, complete with horns, a tail and a hunting pole, his hounds before him. The man was exhausted and sank to his knees, ready to meet his maker, but in his final moments uttered a prayer. On hearing his words the hounds stopped in their tracks, baying furiously. 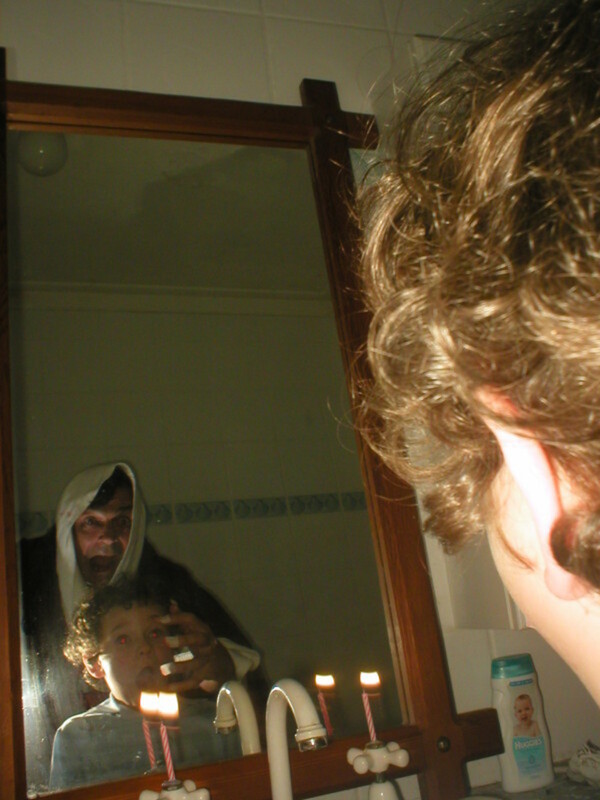 The devil, struck by the power of the prayer, called off his Dandy Dogs and retreated back to hell. 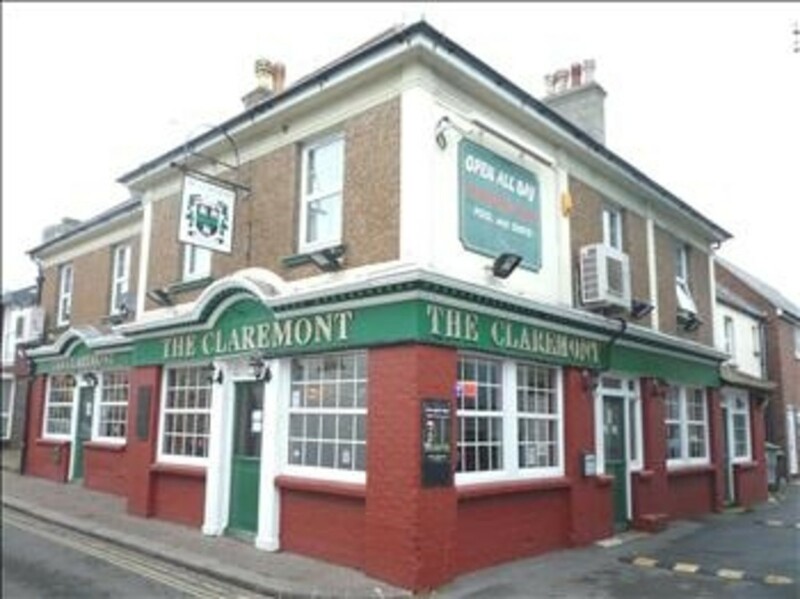 There has been considerable speculation in the past twenty years about the safety of Matthew Weekes' conviction for Charlotte Dymond's murder. Many people feel that Matthew's guilt was decided long before the trial and other possibilities discounted without being properly explored. Now you can take part in a reenactment of the case at Bodmin Shire Hall, becoming one of the jurors. Charlotte Dymond's sad story is well known in Cornwall. Charlotte was an 18 year old servant, who worked for a widow and her son at Penhale Farm, on the edge of Bodmin Moor. The household also contained two farmhands, Matthew Weekes and John Stevens. Charlotte and Matthew had been walking out together for around two years, They were in some ways an unlikely couple; Matthew was lame, rather short and had a bad complexion. Charlotte was attractive, well-turned out and something of a flirt. On Sunday 14 April 1844 Matthew and Charlotte went out for a walk together. Charlotte was wearing her Sunday Best - a green striped dress and a red shawl and Matthew too was smartly dressed. Later that day, Matthew returned alone; he told his employers that Charlotte had gone off on her own in a different direction. As the days went by and Charlotte still did not return Matthew said that Charlotte had in fact gone to find work elsewhere. He allegedly also made remarks trying to implicate Charlotte's estranged mother, should Charlotte turn up dead. He then disappeared. Charlotte was indeed found dead. Several days after her disappearance, the neighbours began a search and found her body in a stream. Her throat had been savagely cut. Matthew Weeks was found and tried for Charlotte's murder. It was said that Charlotte was seeing another man and had told Matthew who killed her in a jealous rage. Several people placed Matthew and Charlotte on the Moor together at the time and circumstantial evidence (muddy boot prints and mud on his clothes) placed him at the scene. More damning was his confession. 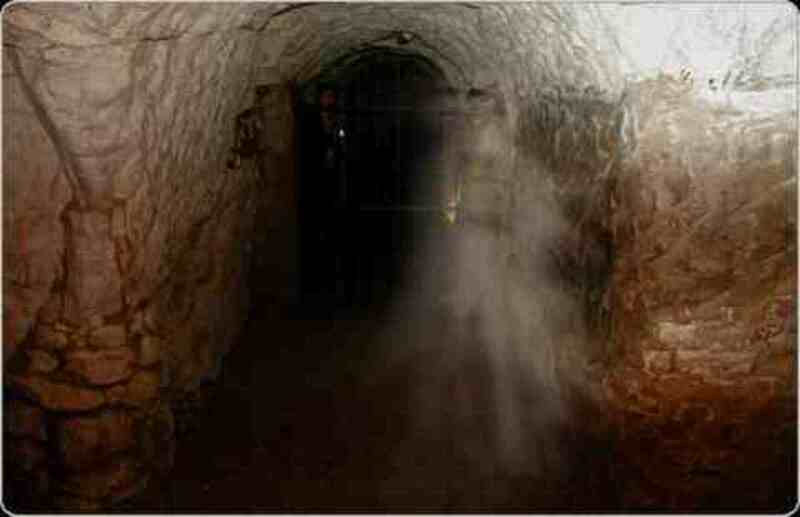 All the evidence pointed to Matthew and he was duly hanged at Bodmin Jail. 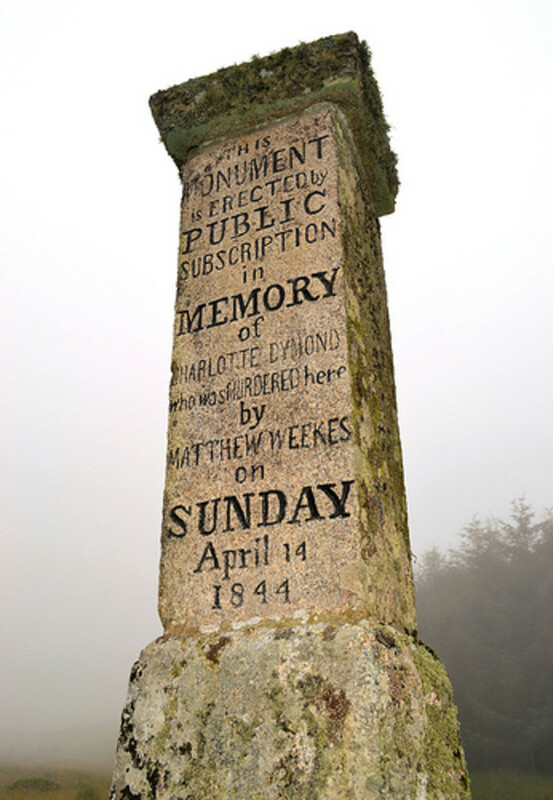 A monument to Charlotte was erected at Roughtor where her body was found. She is buried in the churchyard at Davidstow. However, she has not found peace. On lonely nights, especially on the anniversary of her death, her ghost walks around the tor in her green striped dress and red shawl. Sentry duty at the military post on Roughtor was particularly unpopular with men of the local militia due to Charlotte's unnerving spectre. There have been persistent rumours and purported sightings of a large black beast on Bodmin Moor. In the past there were the Dandy Dogs, more recently farmers have reported livestock going missing or being mauled by large predators. A popular notion is that a big cat, perhaps a leopard or a puma, has escaped from captivity and found its way onto the Moor where it has interbred with domestic cats. Following years of speculation the Ministry of Agriculture, Fisheries and Food carried out an investigation and concluded that there was no conclusive evidence either way. There is video footage of the Beast - it looks more domestic cat than big cat! Hi David - I definitely would not want to be stuck on the Moor in the dark! Glad you lived through the journey - my daughter made it back from Truro today too :) Thanks so much for sharing your memories. In spring of 1974 I was hitchhiking to Truro to visit a college friend. As I approached the Bodmin Moor, several rides advised me that whatever happened I should make sure I get a ride all the way through the Moor. It was too dangerous to be there after dark. A couple of the drivers told me the Bodmin Moor was the setting for the Hound of the Baskerville. I got a ride from a couple who had retired from the medical field in London and retired to the Moor to a sheep farm. They took me home and fed me lunch and set me back on my way. I lived to tell. Hi rahul0324 - glad you enjoyed reading this hub. Yes, Charlotte's tale is very sad indeed - perhaps sadder because many think the wrong man hanged for her murder. OK, I'll look into a hub on Dartmoor then! I am afraid that I don't know much about the geology - but it looks like I could be about to find out! It really would be awful to sink into one of the bogs - best just to stay away after dark! Thanks again for commenting and thanks for the ideas! Yes, a hub on Dartmoor would be fantastic. I love how you bring in the history and lore of the places. I would also like to know about the geology--how does a land feature like this come about? What an awful way to die--sinking into a bog on a foggy night. Hi Sally's Trove - imagine that - you would be the Lady of the Lake! Thanks for such a kind comment, I appreciate it very much. You described the moor and pool so beautifully that I felt transported. Perhaps someone just got a glimpse of my spirit poking around the pool's edge. :) Wonderful read! Hi Tyler - thanks very much! I love these stories, but wouldn't want to be on the Moor alone! Poor Charlotte - sad end for her and probably the wrong man hanged too. Thanks so much for stopping by, much appreciated. Hi Janis - Sherlock Holmes hunted the Hound of the Baskervilles on Dartmoor, which isn't too far away (it's in the neighbouring county of Devon). Dartmoor is a lot larger than Bodmin Moor - oooh, do I feel another hub on the way! Thanks for your comments, much appreciated, as always. Great story's, love the one about Charlotte. Keep up the excellent writing and the great work! I too think of Sherlock Holmes when I read about Bodmin Moor. Wasn't that the setting for The Hound of the Baskervilles? I'm loving your hubs!They are interesting from beginning to end! Great job! Hi Angie - there is definitely something scary about all that open space, perhaps it's just that there is nowhere to hide? You're not the first person to comment that the Moor is best enjoyed on bright days! Hi Bill - it's my pleasure to write about these places, but I hope you get a chance to see them one day. I've got a long bucket list of places to see too, you never know, if I ever earn some money on HubPages I may get to visit some of them. I count on you to tell me about places I probably will never visit...sigh...thank you and great hub! Hi Alastar - I feel awful that my comment on your hub sounded like self-promotion. I was just seeing the similarities between "our" Bodmin Beast and "yours". Very glad that you enjoyed my hub though. What do I think the Beast is? Originally a stray wolf, perhaps. Nowadays, there is a slight chance it is an escaped exotic pet (but then, what is it breeding with? ), more likely just foxes, or something very mundane. Glad you the mentioned similarities between our stories Judi. Reading brought to mind that scene from An American Werewolf in London, the part where the two guys are walking across the moor and encounter the werewolf. What a treat finding out about the Bodmin Moor, appreciate you writing it up so well with the cool info. Any thoughts from you on what the Beast could be? You, lovely lady, are too kind, but thank you so much - I think I am just reflecting what I find! Thank you! You are such a dear! Yes, by voting on our favorite hubbers the list was made. It was AEvans who made this happened. She deserves all the credit, together with all the great and wonderful hubbers that made this list. I was so happy when I saw your name, Judi Bee. You are such a great writer and you always give beautiful and inspiring comments. Hi Sannel - Happy New Year to you! Very pleased that you enjoyed this hub. I missed this list of hubbers - did we have to vote or something? Really happy to hear that I am on this list! Thank you for your kind words, there are so many fab hubbers around who produce great work - you included! Another spooky hub from you that gets me looking over my shoulder. I loved it! I'm so thrilled that you are on the list of the HubPages top new hubbers. You truly deserves this recognition. Congratulations! Well done. Done, took ages. There's a link to this hub somewhere in there. Thanks Chris - will look forward to a Bodmin Moor hub from you. I think when somewhere is described as "featureless" you don't fully appreciate what that means until you actually lose your bearings. Bodmin Moor is one of my favourite spots. I was thinking of doing a more general hub on it. All that spooky stuff reminds me of a day up there when I took a short walk from my car. Took me 2 and a half hours to find it again by which time it was going dark. I have an OS map now! Hello Seeker7 - I know what you mean, the Moor is the sort of place where you can't help but look over your shoulder, just in case someone or something is there! 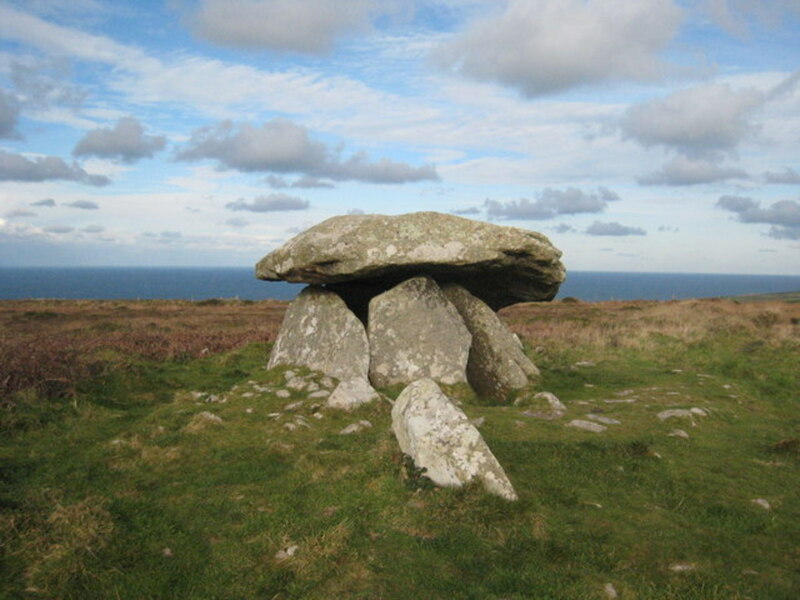 A wonderful hub about extraordinary Bodmin Moor. It's one of those places that even in bright sunshine it looks creepy! I loved all the stories especially the one about the Devil and his Dandy Dogs - awesome! Even if I don't actually believe in the devil and his dogs, I still wouldn't risk crossing the moor - day or night - on my own, just in case!LOL! Wonderful hub + voted up awesome!! Hi RealHousewife - a footpad was a robber who specialised in stealing from people who were on foot - they were rather low down in the criminal hierarchy, definitely way below the mounted highwaymen. You are right about Sherlock Holmes. The case of The House of the Baskervilles is set on Dartmoor and has overtones of the "Dandy Dog" legends. Judi - loved it! Now what in the world are footpads? I always think of Sherlock Holmes when I think about Moors:) very interesting! I love ghost stories and this one was definitely fascinating. Voted up and interesting.